“My 3rd entry on Game Art HQ’s Link’s Blacklist Round II Tribute! 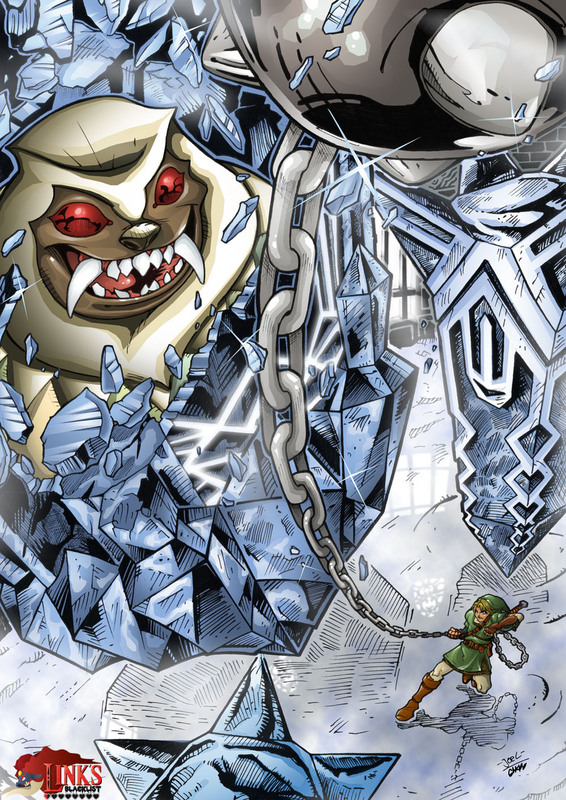 This time it’s all about the boss of the Snowy Peak Ruins from The Legend of Zelda Twilight Princess. Strangely enough before her transformation she’s called Yeta and is nothing more than a lovable character but things go for the worst when she’s about to hand over a part of the broken mirror to Link! The shard of the mirror of the Twilight corrupts Yeta thus turning her into Blizzeta! Since she’s a victimized character, Link doesn’t use his sword against her. 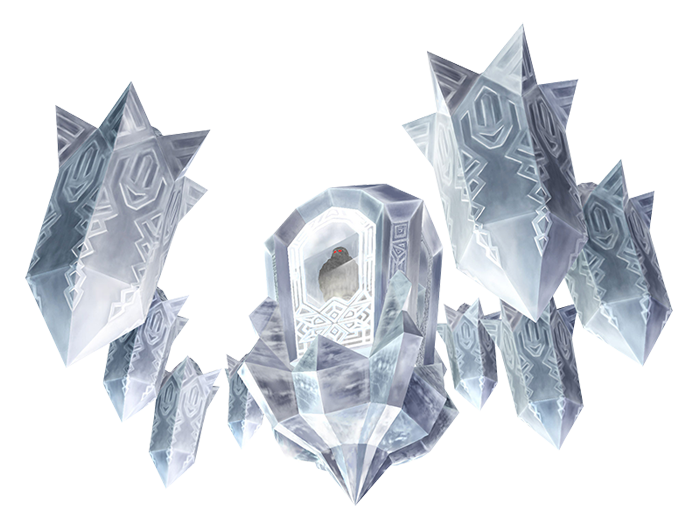 Instead he’s going to use the new item found on the snow dungeon, the Ball and Chain which he uses to brake Blizzeta’s ice shield while avoiding her icicle attacks, until exposing her into the warm sunlight making her return to her former self! Why I chose this boss? 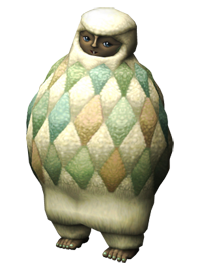 Well as if the sense of isolation and race with Yeta’s husband wasn’t enough to turn this dungeon memorable, the boss fight is sure to impress with it’s unsettling character, unique battle and the scary organ music. Instantly becoming one of my favourite moments in a Zelda game!